Arthritis Essentials® is an evidence-based, nationally recognised and industry endorsed unit of competency (MSKINF001 Provide information and strategies for musculoskeletal conditions). Login to Arthritis Essentials http://learning.arthritistas.org.au with the Learning Account Credentials that you will receive after payment. Arthritis Essentials® is an evidence-based, nationally recognised and industry endorsed unit of competency (MSKINF001 Provide information and strategies for musculoskeletal conditions). Delivered and assessed online, Arthritis Essentials® is a self-paced unit designed to provide health and exercise professionals with an easily accessible means of professional development on the topic of management of arthritis and musculoskeletal conditions. The unit comprises three modules – musculoskeletal anatomy; the main categories and types of arthritis and related musculoskeletal conditions; and best practice management strategies. Each module contains information, graphics, embedded resources and videos. Completion of this online unit, including all assessment tasks (3 quizzes and two case studies), should take approximately 7 hours. The unit has been developed and is assessed by Arthritis & Osteoporosis Tasmania (RTO Provider 60108). Arthritis Essentials® will assist you to become an active and confident member of the arthritis care team, providing you with a basic understanding of arthritis and musculoskeletal conditions and their impact on the individual and the broader community. The content is designed to enhance your knowledge of arthritis and musculoskeletal conditions in order to effectively support clients. NB: When working with clients with these conditions, it is important to work within your professional scope of practice and to work collaboratively with the client’s treating medical and/or allied health professionals. 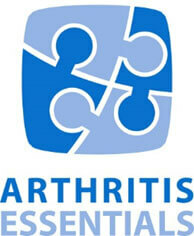 Arthritis Essentials® is structured into three learning modules. Management strategies for arthritis and related musculoskeletal conditions. Module contents include information, graphics, external links, embedded resources and videos. All of the content of Arthritis Essentials® is evidence-based, with embedded resources developed and reviewed by Arthritis Australia and the Australian Rheumatology Association. Assessment for Arthritis Essentials® (MSKINF001 Provide information and strategies for musculoskeletal conditions) is competency based. This means that you are required to demonstrate specific skills and knowledge. Quizzes – there are three on-line quizzes (one at the end of each Module). The quizzes are automatically marked and are designed to test your knowledge of the module content. Case Studies – there are two case studies (with short answer questions) to be completed and submitted on-line for marking by an external qualified assessor. In each case study, you will be asked to apply your understanding of the unit content to the context/scenario of a ‘person’ living with a chronic musculoskeletal condition. The ESSA Professional Development Committee certifies that Arthritis Essentials® meets the criteria for 7.5 Continuing Professional Development (CPD) points. Fitness Australia certifies that Arthritis Essentials® meets the criteria for 10 Continuing Education Credits (CEC) points.